On Thursday, the executive board of the United Nations cultural agency during a meeting in Paris passed a resolution declaring that the old city of Jerusalem has nothing to do with the Jews. The voting was 24 in favor and 6 against, with 26 countries abstaining. Earlier in April 2016, UNESCO accepted the historical fact that the so-called Western Wall (Wailing Wall) had nothing to do with the Jewish religion. The Western Wall is proven to be remains of an old Roman fortress wrongfully adopted as a religious structure by the Organized Jewry. The same applies to the Al-Aqsa Mosque complex which the mostly atheist Zionist Jews claim to be as their holy Temple Mount (King Solomon’s temple). The Zionist regime, Washington and the Organized Jewry have condemned UNESCO decision calling it one-sided. Since Chinese and Egyptian built those monuments – they always inhibited those lands while majority of residents of Jerusalem city during the last 2,500 years had been non-Jews such as Roman, Christian, Persians and Muslims. First: Nir Barkat being an Ashkenazis, is not among the Semitic people, therefore, he couldn’t have ancestral link to the city of Jerusalem. Second: Vatican is holy only to Catholics and not to the rest of Christians. Third: Jews have never claimed Mecca being Jewish as no biblical prophet was born in Mecca. Israeli opposition leader Isaac Herzog, head of the Zionist Union, accused UNESCO of giving a bad name to diplomacy in a statement posted to Facebook. I’m surprised the dude didn’t accuse UNESCO of hating Jews aka anti-Semitism – the Zionist WMD used against anyone who dares to challenge Zionist narration of Zionist entity, Organized Jewry or Holocaust. David Harris, CEO American Jewish Committee, the group which declared economic boycott of Germany in the 1930s, called UNESCO decision, another attempt to undermine the very foundation of the State of Israel and the documented, age-old historical Jewish connection to the land. And unlike previous such resolutions, notably, not one European nation lent its support this time. I’m sure, Harris knows that the foundation of the Zionist entity is built on Jewish terrorism. United States, United Kingdom, Germany, the Netherlands, Lithuania and Estonia which voted against the resolution, are totally controlled by the powerful Jewish groups. If you doubt my words – listen to the pro-Israel rants by Barack Obama, Hillary Clinton, Donald Trump, Angela Markel and Theresa May, the Israel tank commander. B’nai B’rith ADL in a statement said that the resolution essentially expunges the 3,000 years of Jewish connection to Jerusalem. Lol …. 2,000 years out that “connection” Jews in Europe were found wearing signs around their necks saying: I’m the dog who killed your Lord Christ. Israel Lobby AIPAC which took Americans to fight Israel’s proxy wars for the last 60 years, said in a statement that by approving such a resolution, UNESCO undermines efforts to seek a peaceful resolution of the Israeli-Palestinian conflict by giving support to forces in the Palestinian community that reject reconciliation. Unfortunately, this resolution is also demonstrative of Palestinian efforts to circumvent direct negotiations by manipulating international institutions. Who the hell these Zionist propagandists keep trying to fool? Zionist Jews will never allow a Palestinian state – period. 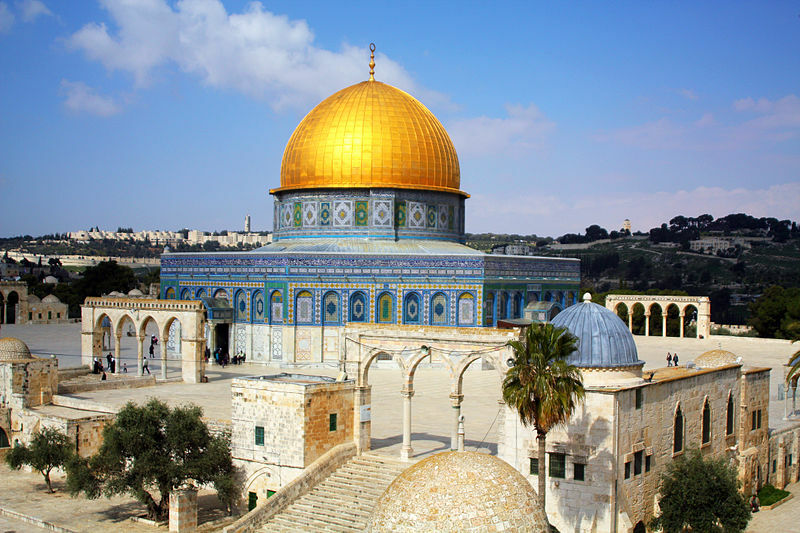 “On Thursday, the executive board of the United Nations cultural agency during a meeting in Paris passed a resolution declaring that the old city of Jerusalem has nothing to do with the Jews. The voting was 24 in favor and 6 against, with 26 countries abstaining. Saudi Arabia never funded genuine Palestinian resistance except the US-Israel created PLO for a short period of time. In 2002 King Fahd begged Israel to accept a ‘duck’ Palestinian state on the West Bank and Gaza while promising recognition of Zionist entity’s right to exist over 80% of historical Palestine with Jerusalem as eternal capital of Israel and less Palestinians’ ‘rights of return’. One who has studied Saudi ‘royals’ history of Jewish origin – can understand why Riyadh gave Netanyahu $16 billion to keep American pressure on Iran. Oh, nooooooo I thought wahhabbism was a good thing, in fact I thought it was, well, Islam. Guess I need to rehtink that. Sheikh Nasrallah is right – Christian Zionists are worse than Israel.